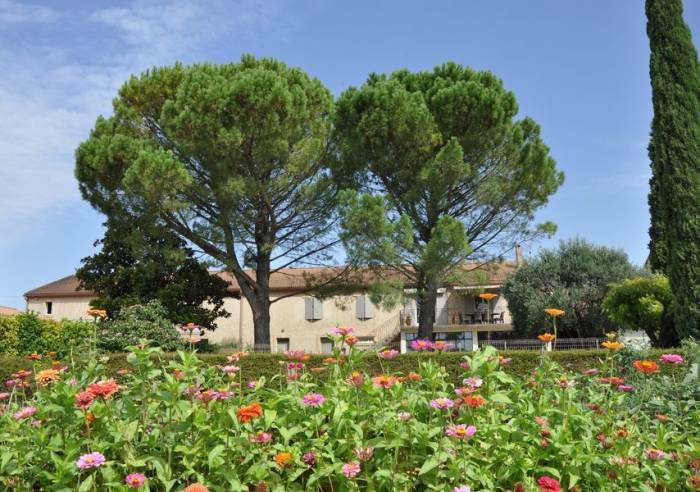 The estate has been in our family for 4 generations and consists of 26 hectares, mainly dedicated to Châteauneuf-du-Pape. Since 2004, the estate has been using organic methods. It is located on the left bank of the Rhone between Châteauneuf-du-Pape, Courthézon and Orange to the north, in the districts of Chapouin and Coudoulet. Our vineyards are planted on clay and limestone soils (diluvium alpin) with a large proportion of rolled pebbles, which have made the reputation of our wine. The estate produces wines with a strong stylistic signature, and fine harmony between the finesse, elegance and character of the region. Car park Sales on site, International export.